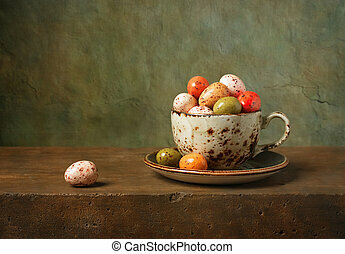 Still life with chocolate easter eggs. 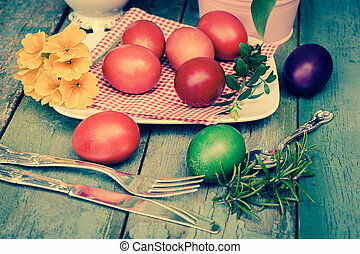 Vintage Eastern European Easter Eggs in a plate. 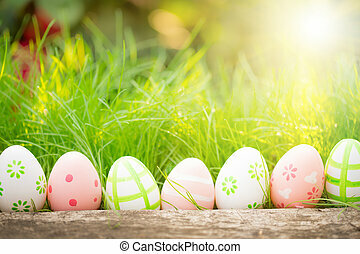 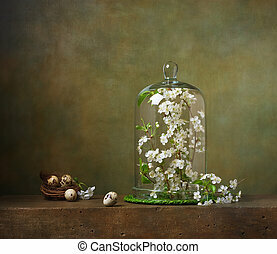 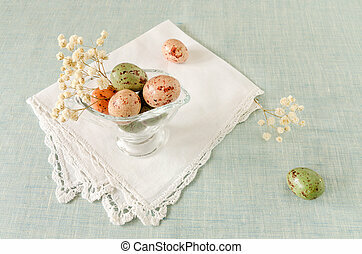 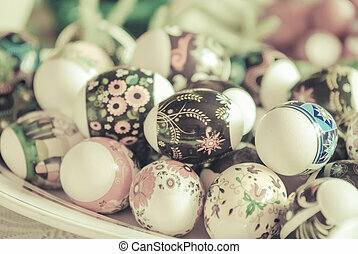 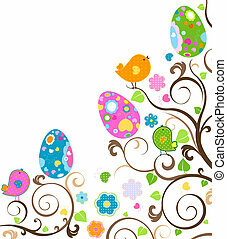 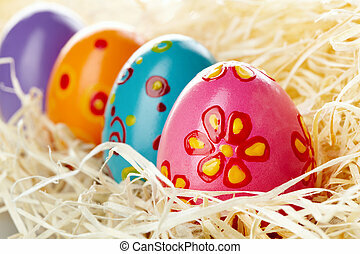 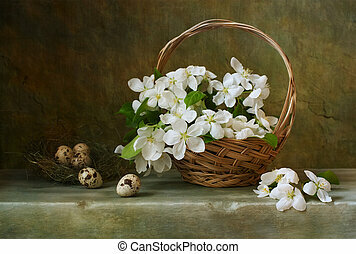 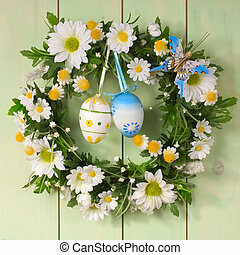 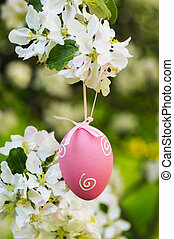 White eggs with floral patterns. 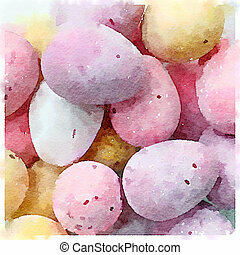 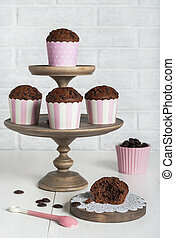 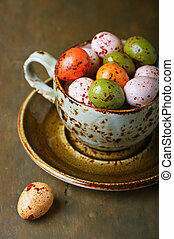 Digital watercolor of specked pastel coloured mini chocolate eggs in a sugar coating. 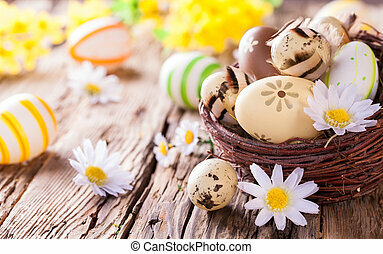 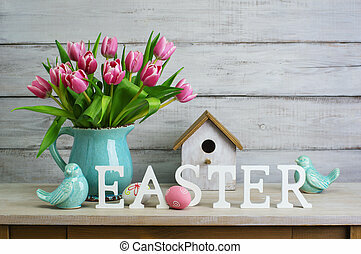 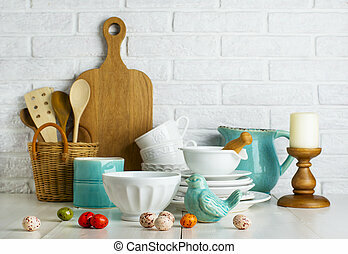 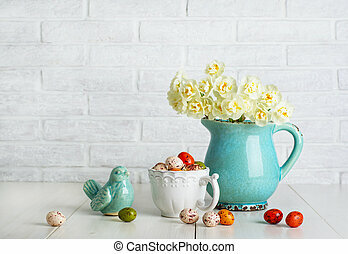 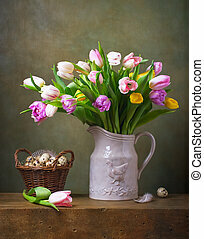 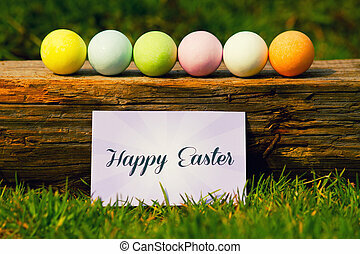 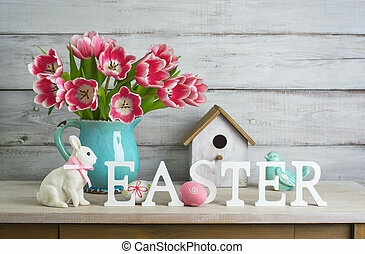 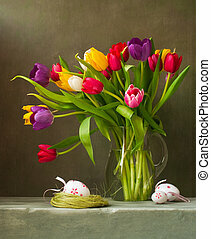 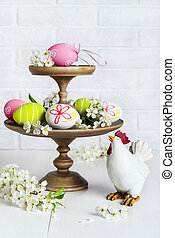 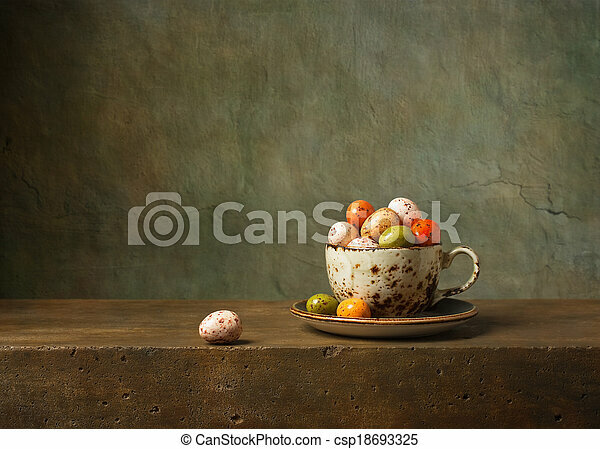 Easter basket with Easter Eggs on wooden background. 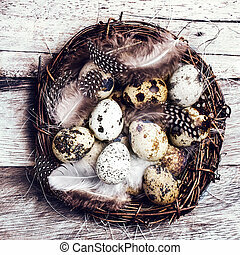 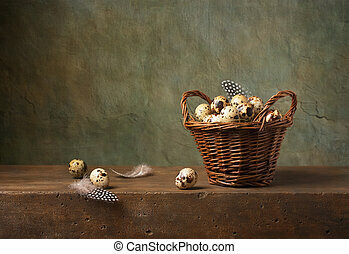 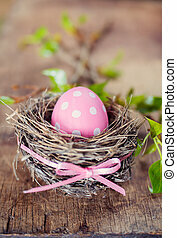 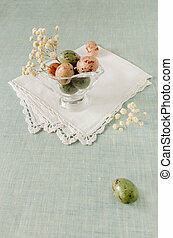 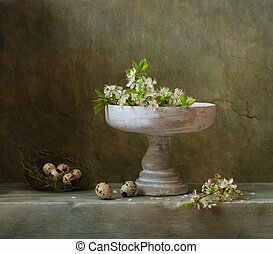 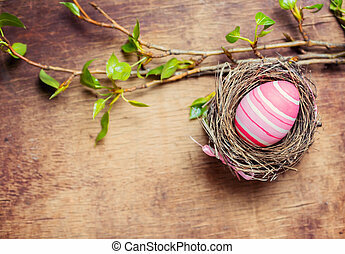 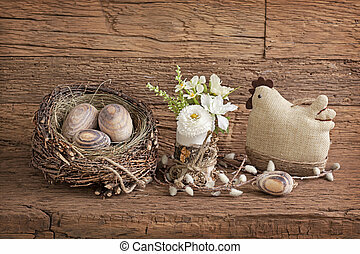 Quail easter eggs in a nest on wooden table with copyspace.